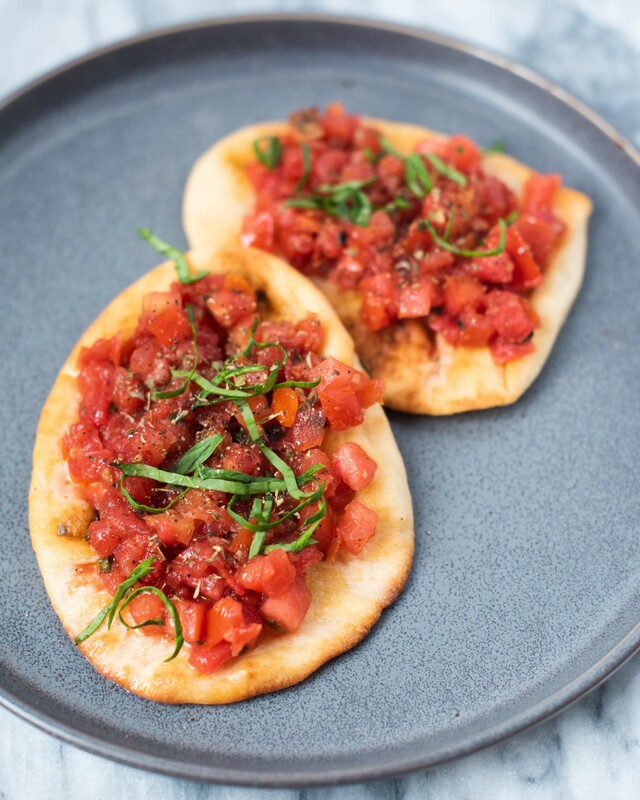 This pita bruschetta features one of our favorite red veggies: tomatoes! Tomatoes are high in both Vitamin A and Vitamin C, which combine with beta-carotene to work as antioxidants in the body by neutralizing harmful free radicals in your blood. When tomatoes are cooked, the Vitamin C content is significantly reduced, so enjoying fresh tomatoes is a great way to provide your body with this vital nutrient. Our @cbdsuperfood bruschetta is the perfect way to enjoy the benefits of raw tomatoes with some added flavor! Garlic, basil, salt and pepper combine to offer this simple snack a little extra pizzaz. Dice tomatoes, and finely chop fresh basil. Combine with ghee, garlic, salt, and pepper until well mixed. Spread onto pita breads, and enjoy!